Is the name David Di Franco Jr. familiar to you? If not, then you may want to spruce up your QuiBids strategy game. 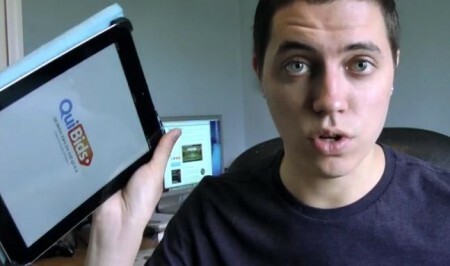 In addition to running his own very informative tech blog, Di Franco’s a regular in the QuiBids YouTube strategy game, and has even written a short QuiBids eBook, that you can download for free at his website. Last month, David posted this extremely useful video, titled “25 QuiBids Tips,” to his YouTube channel and we couldn’t agree with any of his suggestions more! Check out what he recommends (plus some of our additions) below! 1. Refer to QuiBids 101 to learn how the site works. This is a great way to start this list off! QuiBids 101 is the best introductory resource to learning how the QuiBids auction model works, and how you can use it to shop for great products! 2. Customize your profile for a more personal experience. 3. Turn on email notifications to be alerted of important notices. You can do this by visiting My QuiBids and selecting My Information on the left-side toolbar. 4. Watch multiple auctions of the same item to look for a possible pattern. Couldn’t recommend this strategy more! We actually break down specific products each week in our Product Spotlight feature on this very blog. That strategy sure worked out for this QuiBidder of the Week! 6. Each new signup via your referral link will earn you 25 free bids. Check out this previous blog post for more information. 7. Keep an eye on how many bidders have been active on a specific auction within the past five minutes. 8. Add interesting auctions to your Watchlist. Learn how to use your Watchlist here! 9. Hovering over a person’s username will display their last three wins, giving you a good idea of their bidding expectations. 10. As tempting as they are, try to avoid auctions for Voucher Bids. 11. Use the search function to get a good idea of upcoming live auctions. 12. Auctions that include a Gameplay can sometimes be difficult to win. 13. You can win up to twelve auctions in a 28-day period. Read up on auction limits — and how to bust them — at the blog! 14. 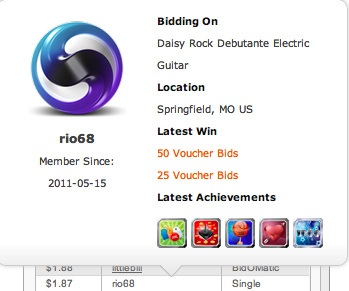 Use the Bid-O-Matic feature to automate your bids. 15. Click on an auction from the home page to view its details before placing your bids. 17. Jewelry auctions are the easiest kind to win, provided they do not include Gameplays or Voucher Bids. 19. Collecting Achievements can earn extra bids. 20. Use the Buy Now feature to save on lost bids. 21. If you have bids to spare and you’re determined to win a specific item, don’t give up. 22. The best time to bid can vary, depending on your location. 23. Follow QuiBids on Facebook and Twitter to participate in daily giveaways of 50 free bids. 24. Be sure to have a good Internet connection for an optimal experience. Be sure to visit David’s website for more info! And happy bidding! QuiBids Australia: What you need to know! What’s YouTube saying about QuiBids?